Selling your home is a huge decision. You’ve not only made a huge financial investment in your home, but an emotional one as well. When you’ve decided the time is right for selling your home, you’ve got to try to take emotions out of the process. You need to look at your home as a product that is going to market where it will compete against all the other homes on the market. 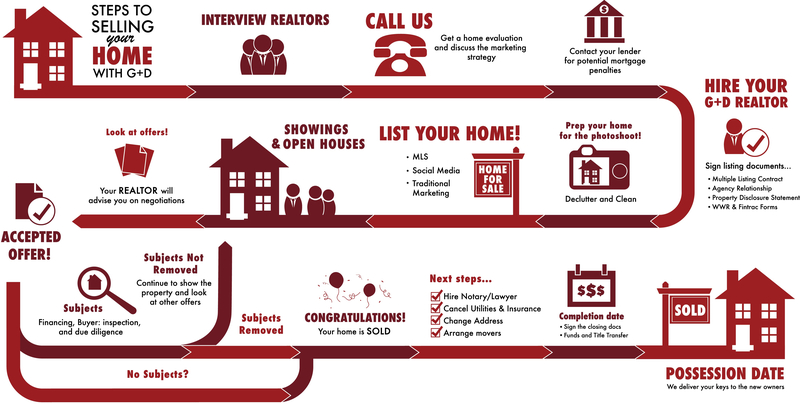 The process of selling your home is really about attracting the right buyers and negotiating the best outcome. Creating Curb Appeal That Sells! The process of selling your home should start even before you put it on the market. Your home needs to show well. It needs to appear that it’s been well-kept, and clutter-free. Nobody wants to buy a used car that’s been battered and run into the ground; the same goes for your home. If your home needs repairs or improvements, do them before you put it on the market. Get to those projects like painting, repairing the front step, refinishing cabinets or refreshing the grout in the bathroom. A little investment in time and energy before selling your home can mean more money in your pocket when buyers start making offers. Your first step towards actually selling your home is to find a Realtor. A Realtor is a qualified and experienced professional who will market your home to potential buyers and act as your representative during negotiations. They’ll be able to assess your home and provide you with a comparative analysis of the worth and sale price of similar homes in the area. This will help set a price for selling your home that is likely to attract buyers. How Realtors Set a Price for Your Home. A Realtor will handle all the negotiations, with your guidance of course, to ensure you get the best price and terms possible. They’ll then help guide you through the detailed process of closing the sale, ensuring all the T’s are crossed and I’s are dotted. • The Multiple Listing Contract formalizes the relationship with between you and your Realtor, and authorizes them to market your property and represent you in the sale of your home. • The Property Disclosure Statement (for non-strata properties) is a document that itemizes all relevant information about the property. To avoid liability it is important disclose any issues such as whether there’s asbestos insulation, an unauthorized rental suite, moisture problems in the basement or if there’s an underground oil storage tank. If your home is a condo or townhouse, your Strata Property Disclosure Statement (for strata properties) includes parking and storage allocations, special assessments and any information about pet or age restrictions and problems with the building’s envelope. While the Property Disclosure Statement isn’t a legally-binding warranty of your home’s condition, you can be liable for damages if you misrepresent the condition of your property or conceal problems. This document will not form part of the contract unless agreed by both the buyer and seller. • The Working With a Realtor Acknowledgement is a form that outlines the relationship between you and your Realtor. • FINTRAC is a government agency that keeps an eye out for money laundering or financing of terrorist activity whenever there is a large financial transaction. Since selling your home is a large financial transaction, your Realtor will require a copy of your photo ID as well as your occupation. The information will be kept on file in case the sale triggers a review by FINTRAC. If you still have a mortgage on your home, you should check in with your lender to get the details on any financial penalty you may incur for closing the mortgage early. In some cases your lender may allow you to transfer your mortgage to your new property. Adding a painting to a bare wall can help make your home look more appealing to prospective buyers. Once the paperwork is out of the way, the fun begins! Your Realtor will arrange for photographs to be taken of your home. They’ll also advise you of things you can do to get your home ready for its close-up. Great photographs are important, as they’re usually the first point of contact with potential buyers. 7 Tips to Make Your Home Look Great in Photos. Your Realtor writes a description that highlights all your home’s great features and then adds it, and the photos, to the Multiple Listing Service. That’s a national database of properties for sale that can be accessed by all Realtors and potential buyers. At some point, your Realtor will likely want to show off your home to prospective buyers with an Open House or private showings. Don’t worry, you won’t have to be there. But you should make sure your place is looking its best. Getting Ready for an Open House. Your Realtor will take it from there, ensuring visitors don’t track mud into your home and leave with a positive impression as well as the information they need to know if they’re interested in buying. Good marketing and presentation when selling your home will lead to good offers. If all goes well, your Realtor will be presenting you with offers from buyers who want to purchase your home. An offer is a contract. If you accept an offer, its terms are legally binding. Most elements of an offer are negotiable and it may take your Realtor several rounds of negotiation before you and the buyer reach a final agreement. • A deposit. Typically it’s five per cent of the sale price, but is negotiable. In most cases the deposit cheque is made out to the brokerage of the buyer’s Realtor. It is held in trust and becomes due after final subject removal. The deposit funds go toward the purchase price once the sale completes. • Subjects. An offer can be clean and straightforward with no conditions. This is called a “subject free” or firm offer. If it’s accepted, the deposit is submitted and your home is sold. More typically, offers are written with conditions, or subjects, that must be satisfied before the sale can proceed. These can include subjects like your home passing an inspection, completing certain repairs and providing property-related documents for review. The buyer could also have subjects that need to be fulfilled, such as securing financing or selling their own home. If you agree to the conditions, the offer is accepted. You then have seven to 10 days (or whatever is negotiated) to fulfill the conditions. The buyer will want to do an inspection to ensure the conditions have been fulfilled, as well as their due diligence. Once the subjects have been fulfilled, the buyer will give you written notice that they’re being removed and your house is sold! If, for any reason, the subjects aren’t removed, your home is still on the market and you’re able to entertain other offers. • Terms. These are the deal’s nuts and bolts like the price, dates, deposit, items that are included as part of the sale. • Adjustments. These are the pro-rated expenses associated with a property that will be assumed by the buyer, like property taxes, strata fees, utilities. • Closing Date. This is when your home legally transfers to the buyer. • Possession date. This is when your Realtor comes by to get your keys. Usually it’s 30-90 days after the initial sales agreement and a day or two after the closing date. • Expiry Date. This is when an offer to purchase expires. 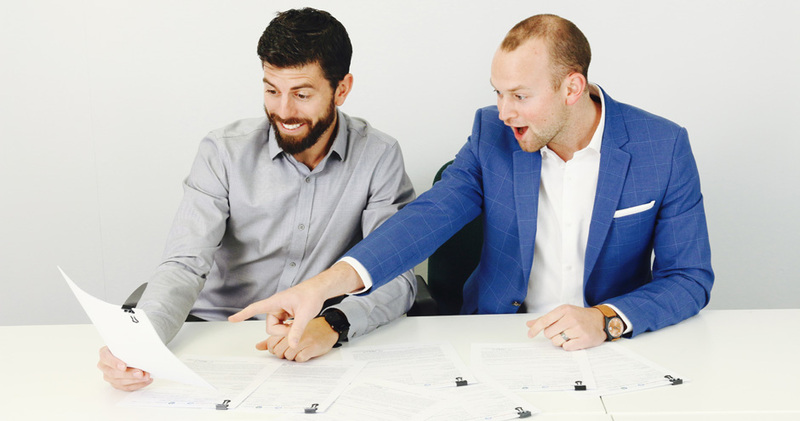 Once subjects have been removed, the financial and legal process of completing the sale and transferring ownership begins. You’ll want to get a lawyer or notary. Their job is to review and enforce all contracts, including the Agreement to Purchase and Title Transfer. This will give you peace of mind and ensure the sale goes through smoothly. Can explain things in plain language. Once subjects have been removed, legal documents signed and funds transferred, the sale of your home is considered complete. It’s time to start packing for your move. Tips on How To Get Rid of Unwanted Furniture. When you’re on the move, there’s a lot to think about; first and foremost, making sure that your new home has the essentials: Power and Heat. Moving is tough enough without electricity to keep the fridge and your beer cold, and oven to keep your pizza hot. Don’t forget to cancel your home insurance and close your utility accounts, notify your contacts of your new address and make arrangements to get your stuff to your new home. If you live in a strata condo or townhouse, you may also have to inform the building manager of your move so they can provide you exclusive use of an elevator as well as security. Moving within BC? Quickly and easily update your address in seven steps using Address Change BC. Have some time before you take possession? Consider Canada Post’s mail forwarding service. It’s an ideal way to make sure that you don’t miss anything important! Change of address cards can be found free at your local post office. Simply add postage and send! The only thing left to do now is handover the keys on the Possession Date. Your Realtor will make those arrangements. Congratulations! You’ve sold your home! Here are some articles that may be helpful when you’re selling your home. Here are some trades that may come in handy to prepare for the sale of your home.